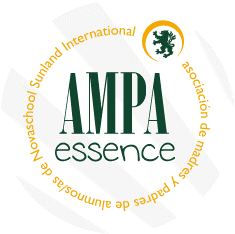 The Parents’ Association of Novaschool Sunland International (AMPA Essence of Sunland) would like to welcome you all, but particularly families that are new to the school. As parents we must be clear that, as well as the pupils themselves and the teaching staff, we are also members of the educational community. It is our responsibility to make our school great, and we believe that the families must play an active role in the vital task of raising and educating our children by participating in their school life. We are convinced that close relations between the different players in the educational community can only benefit the progress of our children at school. The AMPA Board (President, Vice President, Secretary, Treasurer and Committee Members) are a group of parent volunteers who are dedicated to the fundamental objective of representing the general interests of all parents and guardians of the school’s pupils with the aim of guaranteeing the best possible education for our children. To help parents and guardians in every possible way concerning their children. To assist with the school’s educational activities. To assist with extracurricular activities at the school. To encourage parents and guardians to participate in their children’s school life. To represent the parents and guardians at educational and other bodies where the association’s presence is required. To be the main conduit for communication and participation between the families and the school. Regular communications and meetings with the school management and the parents to agree on suggestions and projects that will guarantee the best quality education for our children and the continuous improvement in our school. Regular communications on all aspects of education for parents, teachers and pupils. We suggest activities and talks for parents, teachers and pupils. Cultural, educational, sporting and fun days, such as the traditional Summer Fair. All parents with children at our school are considered members of AMPA, even though there is no membership fee. We encourage you to join in with activities in any way you can, or to go a step further and help with the projects that the AMPA Board carries out throughout the year. We need your support and participation to ensure that AMPA continues to grow. We encourage you to attend our meetings, which are normally held on the last Friday of every month at 15:00h in the school. We will try to conduct proceedings in Spanish and English, and we would be delighted if you came along to get to know us and share concerns, whatever age your children. In addition, General Meetings, both ordinary and extraordinary, will be called giving the required notice, stating the date and agenda. Please feel free to contact us via our email address: [email protected] at any time if you have questions or concerns. If you would like to receive our communications, information about meetings etc, please use the above email address to send us your name and children’s school year. We also have a Facebook group, open only to Sunland parents, to which we can give you access upon request. With the help of the school, we will keep you informed about all events via school emails.